Healthcare has become a national hot topic, and keeping kids healthy may become more tricky in the years to come. Parents have to learn how to navigate the healthcare system to gain the most help. Over the years, I have learned that many parents do not fully understand how to keep kids healthy by using the three different levels of care. I have provided more details in my podcast found here. 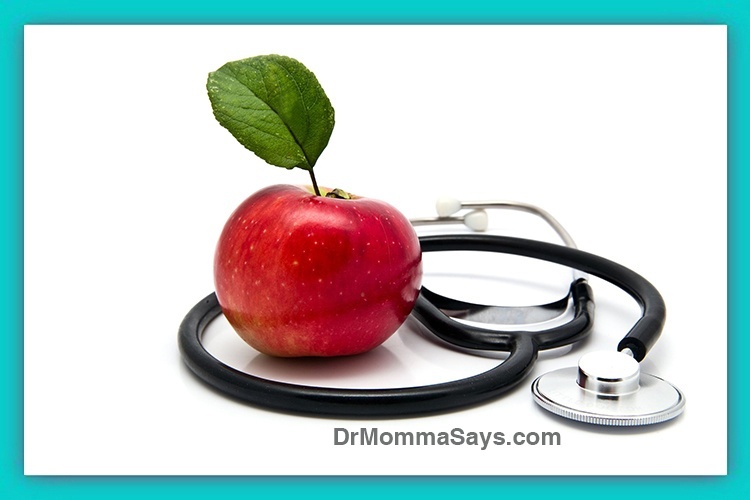 From the moment we discover that we are pregnant, mothers become obsessed with learning ways to keep our kids healthy. Once we know we are carrying a child, we watch what we eat, drink, how we exercise and how much rest we get. We will spend much more time worrying about keeping our kids healthy than we will for ourselves. You may think this post represents common sense information. But I assure you, after practicing medicine as a pediatric surgeon for over 25 years, TRUST ME when I say this information is needed. For those of you for whom this is actually a review, please just sip some tea and consider this a refresher course. As a specialist, I have been amazed by the different ways that patients come to my office. Many times it is based on the insurance company. If a referral is not needed, patients often come to be seen very early in their illnesses. Specialists are often one-dimensional as we focus on our area and keep pushing until we win. We will get to the bottom of it and deal with the issue. However, we are not simultaneously monitoring the rest of your child. As you build a relationship with a pediatrician, you are allowing her to learn how your child fights diseases. This relationship helps to establish when treatment or observation is needed. She will look for patterns in your child’s illnesses and reflect on which treatments have been most effective. Every child is different; consequently, using treatments that worked for another child may not work for yours. Moms also need to pay attention to how they personally approach illnesses. What treatments do you do at home? Are you influenced by needing treatments due to upcoming vacations and weekends? Every mother has a parenting style that is uniquely her own for feeding, sleeping, disciplining and schooling options. Managing illness is no different. Once you understand your own parenting style, you may better understand the recommendations of physicians. Some parents call the physician for a temperature of 100 degrees. Yes, it is fine to do this every time it happens. Even when you choose not to give Tylenol for the fever because you don’t want to “cover up” an illness. It is valid and acceptable. HOWEVER, you need to know that this is not the standard way most parents treat their children. As medical providers, we may not be as alarmed as you are about low-grade fevers. You will need to brace yourself for a reassuring nurse phone call and not being given an urgent appointment. These are the appropriate expectations. 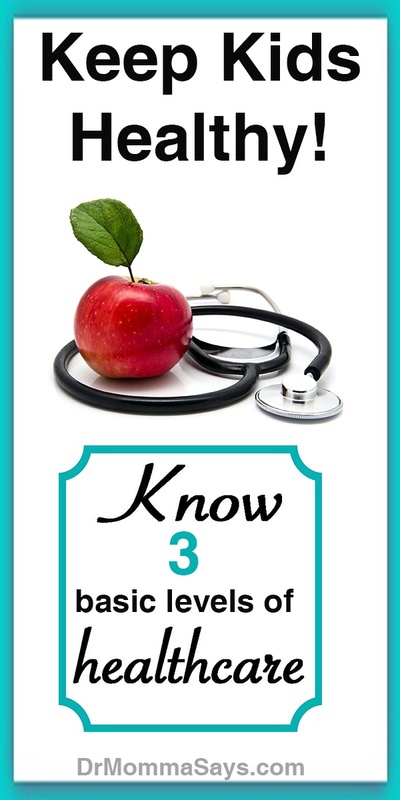 I believe that when it comes to medically treating your child, there are 3 basic levels of care. Each level needs to be fully explored before progressing to the next one. This is the introductory level of healthcare management. Every mother is immediately certified in this level of care as soon as a baby is born. As time passes, each mother progresses through the Momma Medicine healthcare ranks just as one would pass through any other educational process. Most parents use Tylenol, Motrin, over the counter medications, cold compresses, humidifiers, and saline nasal washes to keep kids healthy. Then many progress to my favorite category of HOCUS POCUS. I am not making fun of this group of therapies because I had a whole drawer full of them when my kids were young. I call these therapies Hocus Pocus because they seem to magically help, but as a scientist, I cannot describe how the heck it actually works! Alternative Therapies are not placed into the hocus pocus category. The reason is that although I cannot scientifically explain how they work, there are practitioners in these fields who can. These Alternative therapies may include Chiropractor, acupuncture, and heavy metal chelation. Parents who seek these treatments must ask their practitioners to explain the science because most traditional physicians do not know these fields. After exhausting Momma Medicine therapies and your child is not improved, parents should seek care from their primary care physician. Pediatricians and family physicians are the best next step for an evaluation. Since it is the first visit, an initial assessment and introductory treatments are usually started. Your physician will now decide if she needs to advance treatments to prescription medications, or simply observe the disease process. Parents should not be offended if she is not ready to order X-rays or blood work on the first visit. This also means you should not be the asking for a specialist referral at this time! You should have an open conversation with your pediatrician about your concerns and ask to better understand her thought process and timelines. Yes, you MUST ASK. Physicians may not have the time to explain every option they consider or what they might do at the next visit. Physicians do have a plan but sometimes the main part of the visit is helping you to understand what we are thinking on that day. If you feel that you need to know the possible next steps, then ASK. (I routinely hear complaints from parents who feel their pediatrician did not discuss future plans but also report that they never asked). Physicians cannot answer questions if they are not asked. Additionally, some offices employ non-physician providers such as nurse practitioners and physician assistant to treat patients. Many of these providers have earned doctorate degrees and introduce themselves as “Dr”. Please be sure to always ask for the credentials of your healthcare providers so you can better understand the level of training and experience that is being used in your child’s care. I am often asked to explain why the parents of my patients did not know they were not seeing the physician. I remind them that they need to ask for what they want. ​Specialists are the end of the line. We may use stronger medications or use them for longer than normal periods of time. Perhaps fancier x-rays, CT scans or MRI tests are needed. Specialists schedule procedures or surgeries when all medical therapies have failed. However, we are not ready to evaluate people who have not been treated with first-line therapies or have not had chronic illnesses. Specialists are not primary care physicians, which is the reason that the level of care your child received before coming to our office is important. Simply wanting to see a specialist because we are “good at looking at ears” is NOT a reason to see an ENT doctor! We do not need to check to see if “things look okay”. We are needed because the symptoms have failed to improve. The reason for understanding that specialists are the last option is because many parents believe that once the surgery is completed, their child will be cured. Nope. In some cases this is true. In other cases, surgery allows for medications that did not work before to now become effective at controlling the disease. Let me just say that again….having surgery (like ear tubes or sinus surgery) does NOT mean your child will not have infections again. Do not seek to have surgery because you believe medications will no longer be needed. Surgery may reduce the length of time medications are needed, but medicine and surgery have two very different end goals. 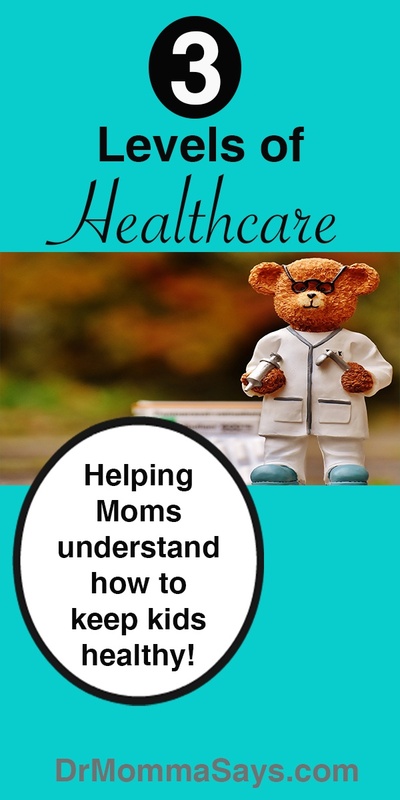 Okay then, now that we understand the three basic levels of care that complete the healthcare chain for your child, part 2 of this series will explore the different options of care your child may receive at the primary care level. After hours and emergency room visits may be needed and we will discuss the impact of those visits on your child’s healthcare management.